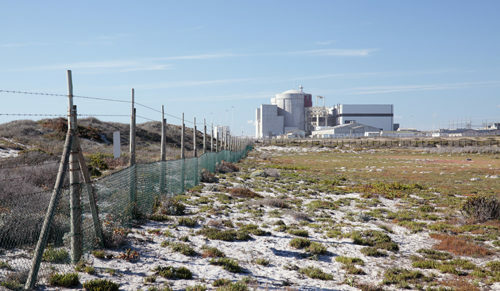 Last May, insiders from the nuclear industry told delegates to the African Utilities Week in Cape Town that the proposed procurement of 9.6GW of nuclear power would create lots of new jobs in South Africa. Nuclear industry lobbyists claim that these jobs will be created in two ways: directly, during the construction and operation of nuclear power plants, and indirectly via the economic growth that is said to naturally flow from the generation of more electricity. Sadly, the truth is that both these claims are very unlikely to be realised in South Africa for a number of inter-related reasons. 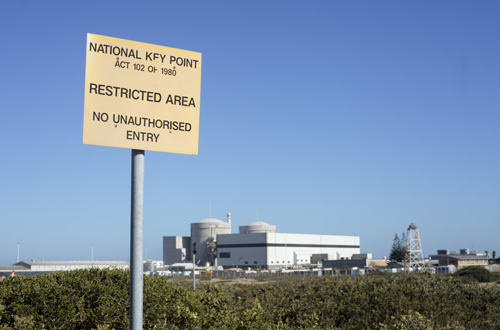 The government announced in 2010 that it intended to procure new nuclear power stations. Since then, various claims have been made by government and nuclear vendors about the number of new jobs this procurement would create. For example, the Russian company Rosatom is considered to be the front-runner in the procurement process. It stated in mid-2013 that 15 000 new jobs would be created directly by the procurement, with a further 100 000 created in supporting industries. This was on the basis that for every job created directly, seven would be created indirectly. In March of this year, Rosatom claimed that 5 760 direct jobs would be created, with a further 70 000 created in supporting industries. The basis for the calculation had changed. Now they were saying that for every job created directly, twelve would be created indirectly. The difference reveals that these figures are not evidence based. They are simply an exercise in public relations. International experience shows that 10 000 people or more may be employed during the temporary construction phase of a nuclear power plant. But when a plant enters its operational phase, it employs a relatively small number of mainly highly-paid, skilled workers. The head of the stateowned Nuclear Energy Corporation of South Africa (NECSA) confirmed as much in 2014 when he stated that any new jobs created would be “high-tech, high-skilled”. 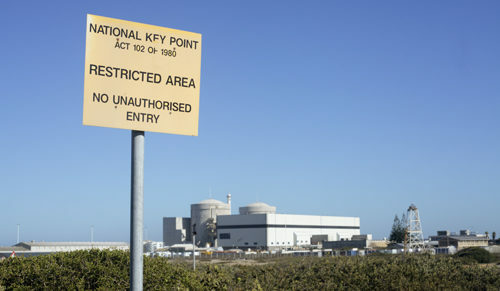 The relatively small number of permanent jobs needed to operate a nuclear power station is illustrated by Eskom’s claim that Koeberg employs “approximately 1 200” people, with a further 600 employed indirectly. We should be extremely cautious when evaluating claims about how jobs will be created through the procurement of foreign technology. The Arms Deal, which is now estimated to have cost South Africans R50bn, promised to create 60 000 new jobs. In reality less than 4 000 were created at an estimated cost of R12m per job. 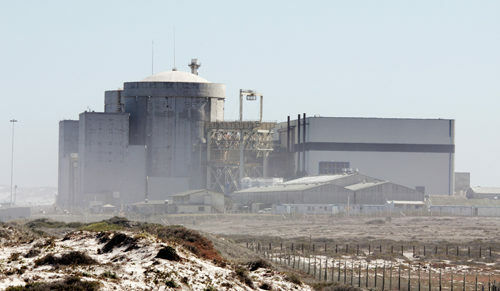 A conservative estimate of the price of the proposed nuclear programme is R500bn. At that price, if the nuclear procurement did create a highly unlikely 100 000 new jobs, this would mean that each job would cost South Africa R5m. A more realistic figure for the programme is R1tn (that’s one thousand billion rand). At that price, each job would cost R10m. If we use Eskom’s real figures for Koeberg rather than Rosatom’s imaginary ones, each new job would cost South Africa R70m! It is abundantly clear that nuclear power plants are far from being labourintensive and will do little to ease South Africa’s unemployment crisis. Nuclear suppor ters claim that new jobs will be created by economic growth. They say this will inevitably follow the generation of more electricity. There are, however, numerous problems with this simplistic argument. Firstly, the government has not yet proven that 9.6GW of new generating capacity is even necessary. Until it does so, questions will remain as to why the procurement is even going ahead. But secondly, assuming South Africa does need this additional energy, other generation options are cheaper. 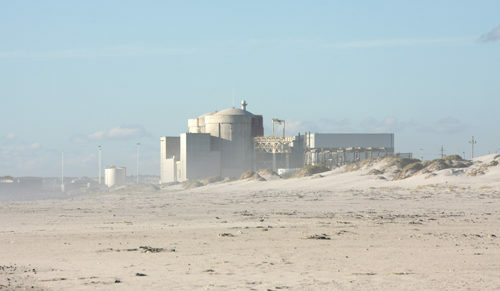 Recent research from the Council for Scientific and Industrial Research (CSIR), among others, indicates that nuclear power is expensive compared to other energy sources. It costs R1/ kWh, compared to new coal and solar energy at R0.80/ kWh, and wind at R0.60/kWh. The Energy Research Centre at the University of Cape Town has shown that if energy costs are high, economic growth slows, and jobs are actually lost. National Union of Metalworkers of South Africa (Numsa) research from 2012/13 has already shown the negative impact that Eskom’s numerous electricity price increases have had on jobs in South Africa in recent years. This is a lesson that we should continue to heed. There is no guarantee that new jobs are created simply by increasing electricity generation, especially if this electricity is expensive. On the contrary, expensive electricity generation results in jobs being lost. This contrasts starkly with evidence from renewables. Research by the Institute for Sustainable Futures indicates that a phased switch to renewable energy generation in South Africa, which includes the domestic manufacture of renewable technologies, could create approximately 180 000 new jobs by 2030. Such a total could only be reached if government activity supports local renewable energy manufacturing and installation, and the training of South African workers. • There is a lack of government support for local manufacturing. • There are capacity constraints due to inadequate training and support. • The private sector is purchasing renewable technology from overseas where it is relatively cheap. • Local communities are being largely side-stepped in the procurement processes. For 180 000 jobs to be created in renewable technologies in South Africa, the Government needs to take a far more proactive role in funding, managing and directing the process in the interests of all South Africans. Recognising the potential of the Green Economy, the Government’s 2011 “New Growth Path” targeted 300 000 new jobs in the Green Economy by 2020, and 400 000 by 2040. Since 2011 the economy has actually shed jobs and it is not clear how many new jobs have been created in the green economy. Any hopes of realising significant numbers of new jobs in the Green Economy will be entirely undone by the proposed procurement of nuclear power. The scale of the financial commitment is so large that it will stop significant spending elsewhere. Evidence suggests that the Government is either planning to ask the nuclear vendors to finance the deal or try and finance it on the open market. The costs of any financing arrangement are likely to be astronomical. South Africa ’s debt to GDP ratio (how much South Africa borrows compared to how much it produces) is already at a post-apartheid all-time high. As we all know, a credit downgrading from predatory credit rating agencies is on the horizon. These factors will make borrowing extremely expensive. A R1tn deal will result in at least R100bn in payments per year just to service the debt, let alone pay it off. This is in a context where the Government is already spending more annually in servicing its existing debts than it spends on health care. The magnitude of such a debt threatens both existing jobs and the ability to create new ones. Not only will it undermine attempts to create jobs in the Green Economy, it also threatens to deepen unemployment more generally by crowding out government spending in other areas of the economy where new jobs could be created. South Africans must mobilise now to fight against the nuclear procurement. Once deals have been signed, it will be practically impossible to choose a different path. The long lead-in times of nuclear power plants and the long-term financing commitments will lock South Africa into pursuing nuclear power for decades to come. This will result in South Africa being unable to take advantage of cheaper and more environmentally friendly ways of generating power, or to spend the money in other ways to create new jobs. Neil Overy, writer, researcher, and photographer who specialises in environmental issues. His writing and photography can be found at www.neilovery.com.